Home Business How will the new EU VAT rules affect my VA business? How will the new EU VAT rules affect my VA business? The usually dry topic of VAT has been in the news recently as a result of a little known, until now, new EU rule that has been adopted by every member state (apart from Italy, who will be getting round to it soon)and has changed the place of supply of digital and electronic products. While this may not seem to have a lot to do with providing VA services, the reality is that the new rules (which everyone is calling VAT MOSS after the scheme to ‘simplify’ the rules) will affect every UK business, however small, that supplies customers in the EU with products such as e-books, e-book covers, images, PDFs, videos and software downloads. This is because although we have a deminimis limit for VAT in the UK there is no minimum level of sales for VAT in the EU. So even if it doesn’t affect your VA business directly it probably will affect some of your clients. Let’s start with the basics. VAT is an EU wide indirect tax on consumption. In the UK all businesses are required to register if their taxable turnover exceed £81,000 (one of the highest level in the EU), but in most of the other 28 member states the thresholds are much lower. If you are VAT registered in the UK you will know that you charge your clients VAT at 20% of the value of your service, deduct the VAT you have paid out and send the difference every quarter with your VAT return to HMRC. This is now all done online. If you supply customers in the EU then whether you charge them depends on whether they are VAT registered in their country. If they are, and can give you their VAT number, then you do not charge them VAT, but if they are a consumer or not VAT registered then you must charge them. What is changing is how the VAT is charged. Prior to 1st January 2015 VAT was charged based on where the supplier, say the VA, was based. Under the new rules VAT will be charged based on where the customer is based. The new rules only apply to sales of certain digital products and services to some customers in the EU. Digital services are telecoms, broadcasting and electronic services such as images, e-books. PDFs, music, films, games, patterns, training, webinars and downloadable software if they are delivered automatically with little or no human interaction. That phrase is key, as for example an e-book typed, formatted and uploaded to an EU client’s website by a VA would not be caught as there would be significant human interaction. The sale of the e-book itself from the website would be caught, but in that case it would be the VA’s client, not the VA who would have to charge VAT. A further exemption is if the sale is made to an EU business rather than a consumer. There has been some confusion about this, so to be clear, even if the EU customer is non-EU VAT registered (like a freelancer) but is in business (and can prove it) then the UK VA supplying them does not have to charge VAT. The requirement to charge VAT at the EU customer’s rate of VAT only applies if the customer is a consumer rather than a business. For most VAs it is unlikely that the new rules will apply as their work will usually be carried out either solely in the UK or for businesses and with significant human interaction; after all if the process could be automated it is unlikely that the client would need a VA. So most VAs can relax, although they should be aware that it may affect their clients. If it affects me what do I have to do? So, the requirement to charge EU VAT to your VA clients will only apply if the customer is a consumer and if the service you provide has little or no human interaction. But if it does affect them or their clients then the rules are, unfortunately, a little complicated. They must either register for VAT in every EU country to which they supply services (impractical) or register for VAT MOSS in their member state, such as the UK. They must then file a VAT MOSS return in their member state, pay over the VAT collected to, say, HMRC who will then distribute it amongst the relevant member states. If it applies to you and you are already registered for VAT in the UK then registering online for VAT MOSS is relatively straightforward. If you are not UK VAT registered, but will be required to register for VAT MOSS, you will first have to register for UK VAT. This does not mean that you will have to charge VAT to your UK customers (until you reach the UK threshold) but you will have to file a UK VAT return, showing nil, as well as your VAT MOSS return. As the VAT MOSS returns must be filed for calendar quarters you should be charging the correct rate of VAT already and must register by 31st March. You must invoice and charge the consumer at the VAT in the consumer’s member state and keep two pieces of independent evidence about the consumer, which you can verify, to prove the place of supply. In practice this will be unduly onerous for most small businesses and so they will turn to third party software to help. A list of software is available from our website if you follow the link below. Noel Guilford is a chartered accountant and small business owner. 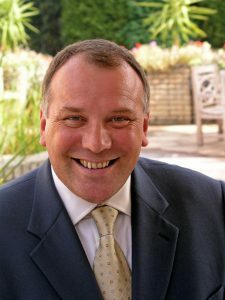 He provides accountancy and tax services to owner managed businesses throughout the UK.